Presenting a new take on an old project! 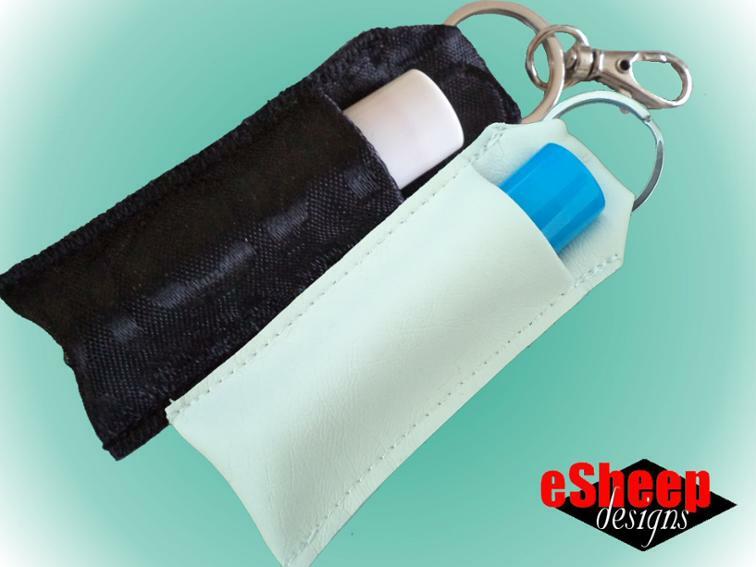 Make a little lip balm holder carrying case to clip to your key ring or bag using scraps of ribbon, vinyl, real or faux leather, ripstop nylon or laminated fabric. The non-fraying properties of these materials enable you to sew this up in a flash. Make 16 of them out of a dollar store placemat. Pair that up with inexpensive hardware (split key rings and small swivel lobster clasps) and you have a project that's both cheap and fast! What's not to like?